England score ‘fantastic’ win over Spain. The team built on Saturday's four-point lead with a steady foursomes performance – sharing the morning points – and a runaway success in the singles, winning six of the matches and halving two more. The result extends England’s outstanding record in the biennial match, which started in 1985. The team lost last time – at El Prat in 2013 – but in total now have 14 victories to Spain’s two – and have never been beaten at home. “It’s a fantastic result,” said Graham Walker, the England men’s captain. “The welcome we have received from the members and staff at Burnham and Berrow, has really played a part because it has made it feel like a real home venue.” Nick was unbeaten winning one match and halving the other 3 matches. L to R: Terry Casey, Nick Marsh, Ben Stow,Ashley Chesters, Paul Howard & Graham Walker. England win European Nations Cup. An England team of champions held off a charging Spanish side to score their sixth victory in the European Nations Cup at La Reserva, Sotogrande. The four-strong team of Ashley Chesters, Paul Howard, Nick Marsh and Ben Stow – all champions in their own right – edged home one shot clear of the hosts, Spain. 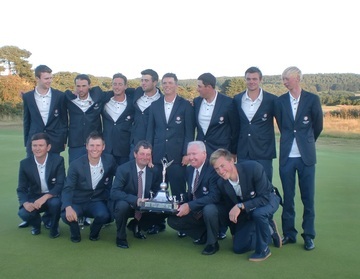 England coach Graham Walker commented: “With a few holes to play the tournament was tight. We needed a big finish and the team responded in great fashion. Meanwhile, Howard, who was first to finish, had gone straight back on to the course to caddy for Marsh over the last few holes, underlining the side’s strong team spirit. 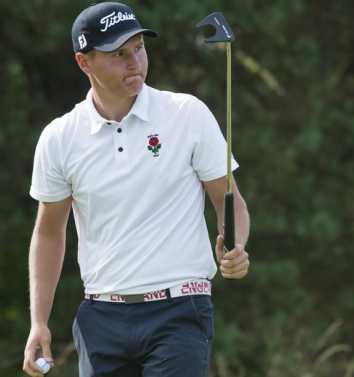 Marsh is the English amateur champion and Howard has just added the New South Wales amateur championship to the 2014 South American amateur title. Team manager Terry Casey commented: “This was a true team effort in a really tough week. The golf course was playing at its most challenging and rounds were taking six hours and more. The best three scores from four counted on each day of the championship. Leading final positions: 1 England 897; 2 Spain 898; 3 France 902; 4 Ireland 904. 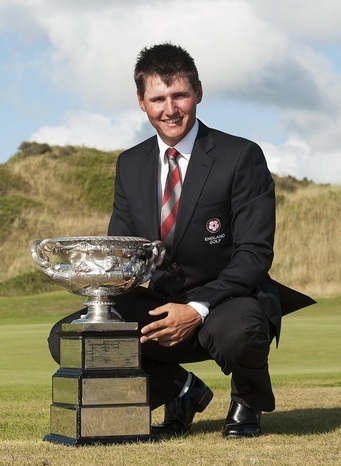 English champion Marsh leads in Australian Amateur. England’s Nick Marsh is the Australian Amateur Championship medallist after he returned a second consecutive 68 in Sydney to lead the qualifiers for the matchplay. Marsh, 20, (© Leaderboard photography) finished on eight-under par - and one shot clear of Australian national squad members Ryan Ruffels and Cam Davis. Marsh, claimed his medallist honours with scoring which included ten birdies and an eagle over the two rounds, the first at The Lakes and the second at The Australian Golf Club. It’s the form he wants for the matchplay, as he explained after his second round:“In matchplay you’ve got to make birdies … so I tried to do that today to be ready for tomorrow. “I played alright, drove the ball much better and hit it quite close on the front nine. It was a steady round. Leading England trio set for action Down Under. English champion Nick Marsh and English Stroke Play champion Ben Stow have been selected in an international trio to contest the key events in Australia early in 2015. They will be joined by reigning South American Amateur champion Paul Howard for the five-week trip Down Under. The trio will be seeking to follow in the footsteps of a number of former internationals who have produced a string of successes in Australia over the years. 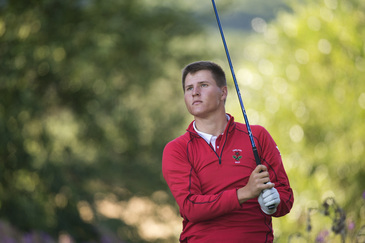 Marsh, 20, (© Leaderboard Photography) a full international for the past two years, won the English title at Saunton in August having lost a playoff for the Portuguese Championship and tied second in the Scottish Open Stroke Play. These top level performances saw him finish runner-up on the Titleist/FootJoy England Golf Men’s 2014 Order of Merit. The trio’s first serious action in Australia will be in the Masters of the Amateurs at Royal Melbourne on 6th – 9th January followed by the Lake Macquarie International at Belmont on 14th – 17th January. Then it’s on to the Australian Amateur Championship at The Australian and The Lakes golf clubs on 20th - 25th January, before the New South Wales Medal at Monash and Killara on 28th – 30th January. The field for the Medal will play one round each over each course after which there will be a cut with the leading 60 players plus ties playing the final 36 holes. 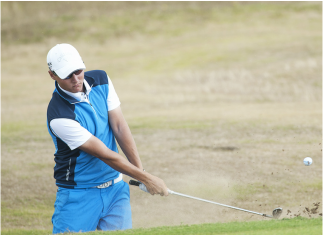 The leading 32 players go forward to the New South Wales Amateur Championship, a match play event, at Monash and Killara on 1st – 3rd February. 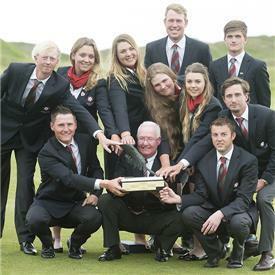 The GB&I men’s team defeated their counterparts from the Continent of Europe 14-10 to win the biennial St Andrews Trophy for the first time since 2008, while the Under-18 GB&I team edged out a close match by 12.5 to 11.5 to retain the Jacques Leglise Trophy they won at Royal St David’s in Wales last year. Trailing by 10-6 going into the afternoon singles, the Continent of Europe knew they had to produce something special to defend the St Andrews Trophy and they got off to the ideal start when Portugal’s Joao Carlota won the opening game by 2&1 against the previously unbeaten Ashley Chesters, who recently defended his European Amateur crown at The Duke’s. They led in several matches for much of the afternoon but Ireland’s Paul Dunne settled the nerves with a 4&3 win over Mathias Eggenberger from Switzerland. Amateur champion Bradley Neil and Irishman Gary Hurley were able to produce late flourishes to win their games against Slovenia’s Tim Gornik and Daniel Berna from Spain to seal a memorable victory for GB&I. In the morning foursomes, Chesters and Ryan Evans won by 3&1 against Carlota and Berna. Dunne and Hurley swept to an emphatic 5&4 win over Dutchman Darius van Driel and Finn Albert Eckhardt. Neil and Grant Forrest eagled the par 5 16th on their way to winning another point for GB&I and Graeme Robertson and Nick Marsh won with a par on the 18th to make it four points out of four for GB&I. 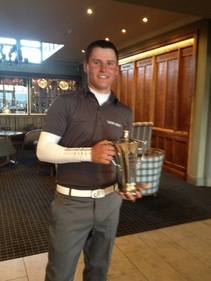 Nick Marsh (Huddersfield Golf Club) swept to a 5 shot victory in the 2014 Midland Open Amateur Championship. Nick Marsh started his assault on the 2014 Midland Open Amateur Championship with an opening round of 70 at Olton Golf Club in the morning to stand at one over par, and improved his position with a 71 at Shirley Golf Club to finish the day on level par. Saturday morning saw an improvement in round 3 at Olton with a 65, with birdies at 3 and 4 being cancelled out by bogies at 1 and 5, but a birdie to finish the front nine was followed by more birdies at 11, 12, 16 and 18. This was only spoilt by a dropped shot at 17 to leave Nick at 4 under par with a 4 shot lead going into the final round. A birdie and 3 bogies in the front nine gave the chasing pack some hope, but 3 more birdies at 10, 13 and 18, and no dropped shots, helped Nick to increase his lead to finish on 274 (5 under par). Nick said he was pleased with his victory and an improvement on his 3rd place finish in 2013. Nick Marsh is the English champion. He resisted Scott Gregory’s battling qualities to take the title 2&1 on a blustery afternoon at Saunton Golf Club. The 19 year old from Yorkshire was, for many, the favourite to lift the English Amateur Championship and he was never behind for the 35 holes final. After finishing 2nd in the Strokeplay with rounds of 71 & 66 and after 6 rounds of matchplay, he was made to battle it out in front of a large and appreciative crowd before landing the biggest prize in English amateur golf. The end came on the short 17th when, with Marsh needing just a half, Gregory conceded after his chip from left of the green hit the cup, while Marsh left his birdie putt close. “Wow, what a match,” said Marsh . “It was a ping-pong tussle with both of us winning holes at different times but to get this title is unbelievable. “It means everything to me. I’ve been knocking on the door for some time. I’ve come close twice, in the Scottish and Portuguese and to get over the line at last is amazing. “At the 17th I hit the best three-iron I’ve hit all week. When Scott hit his tee shot left of the green it opened the door for me but I still had to get the job done. Gregory, just a month younger than Marsh, began the week well down the amateur ranking. But he has put himself on the national golfing map with what he has achieved and seems set for greater things. “I’m very happy for what I have done this week,” he said. “I kept fighting back today. I’ll never give up but Nick played really well, he’s a great champion and it was a pleasure playing with him. One up at lunch, when he probably might have been further ahead, Marsh pushed on in the afternoon, winning three holes in four from the second where he chipped-in for an eagle-three. That run included a birdie at the fourth and at 4-up he seemed to be sailing to victory. But Gregory knew differently. A 20-foot birdie at the sixth followed by a winning par at the next cut the deficit in half but Marsh replied with a birdie of his own at the eighth. When Gregory airmailed the green at the par four tenth the lead was back to four but again Gregory wouldn’t lie down. Back he came with another 20-foot birdie on 11, while a par at 12 saw Marsh’s advantage back to two. They swapped the 13th and 14th to leave Marsh still 2-up and after halves at the 15th and 16th, the end came at the 186-yard 17th. “When I went four down for the first time I knew I still had plenty of holes left. I wanted to put Nick under pressure and I did the best I could. Nick was the better player on the day and deserves the title." 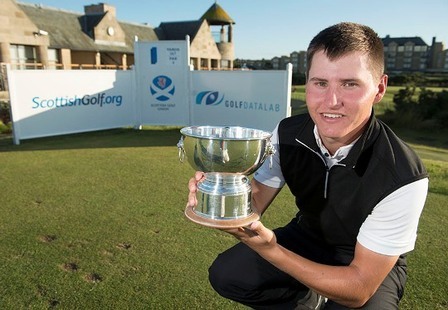 Marsh destroyed the field and the Jubilee Course in St Andrews to post rounds of 70,68,70,69 for an 11 under par total of 277 registering a 12-shot win, adding the Scottish to his Welsh Youths title triumph in 2012. He finished 17 shots ahead of the defending champion and was the only player to post a score under par. Marsh, put the disappointment of missing out on an Open qualification behind him and went one better on Scottish soil than his runner-up spot in the Carrick Neill Scottish Open Stroke Play at the start of last month. First staged at Dalmahoy in 1979 and won by current European Seniors Tour player Andrew Oldcorn, the Scottish Youths Championship boasts an enviable list of past champions including.a young Paul McGinley, the 2014 European Ryder Cup captain for Gleneagles in September. 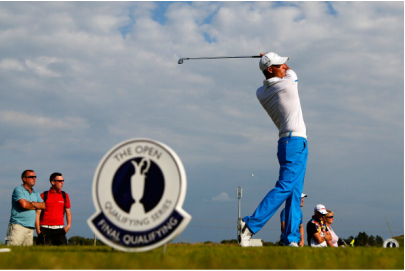 Disappointment for Marsh in Open Qualifying. 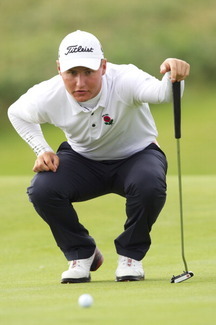 England International Nick Marsh was drawn at Hillside for final qualifying for the Open Championship, where 3 places are available at each venue. After a superb opening round of 69 (-3) Marsh (© Getty Images) was lying in 4th place going into the afternoon round.Three players were already in the clubhouse on -6 following the final round and after another solid round in perfect weather conditions he holed a 35 foot birdie putt at the last to force the 4 way playoff. At the first extra playoff hole he had his chance hitting his approach to12 feet but the birdie putt lipped out of the hole and at the second extra hole Marsh found the fairway bunker, splashed out and hit his approach to 15 feet but could only make bogie and when the other 3 professionals made par his Open dreams were over. Marsh so close to glory in major Scottish event - Nick Marsh finished joint runner-up in the Carrick Neill Scottish Open Strokeplay Championship at Panmure Golf Club. The Huddersfield golfer totalled 277 for his four rounds. The plus 4 handicapper started and finished with 66's and also had a 74 and a 71.England Squad member Marsh was left to rue dropping a shot on the final hole in his second, third and fourth rounds.The 19 year old Halifax-born player finished only 2 shots behind winner Gavin Moynihan from the island club, Dublin. The Panmure event's list of past champions include Bernard Gallacher and Colin Montgomerie as well as current European Tour stars Stephen Gallagher, Richie Ramsay and Alistair Forsyth. Marsh forces play-off in Portuguese championship. England international Nick Marsh raced up the leaderboard and forced a play-off in the Portuguese international amateur championship with a final round of six-under 66 at the Montado resort. It was the low round of the championship and it shot him from a share of ninth place, after three rounds, to a tie with Italy’s Renato Paratore on seven-under par after the regulation 72 holes. However, Marsh’s impressive challenge ended on the first play-off hole, where both players were bunkered beside the green and the Italian got up and down to win the title. Marsh reported to his Twitter followers: “Lost in a play-off unfortunately .... Still finished 2nd. Had a great week ! !” The 19-year-old was one-under par at the start of the final round and five shots off the lead, held then by Sweden’s Marcus Kinhult. The Yorkshireman charged through the field with four birdies on the front nine, before slipping back with bogeys on the 10th and 11th. But he was quickly back on the birdie trail, playing the remaining seven holes in four-under to set the tournament target on seven-under. It was matched by Paratore, who was playing in the final group, and who scored two-under 70 to take his place in the play-off – en route to the title. Marsh, who helped England win the Home Internationals at Ganton last summer, is clearly on form in 2014, having already secured a top ten finish in the South American amateur. ©Leaderboard Photography. 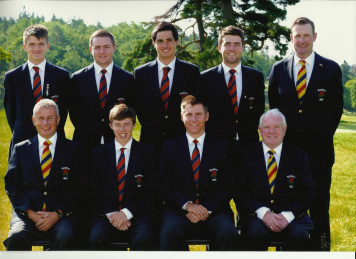 England win the Mens' Home Internationals at Ganton Golf Club by beating Scotland 9-6 to win back the Raymond Trophy. England finished with 28 points, Ireland 23.5, Scotland 22 and Wales 16.5. England edged out Ireland 8-7 on the first day and then beat Wales 11-4 to set up the title decider with the Scots on the final day. 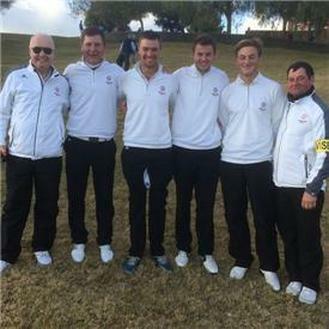 Nick forged a useful partnership with England's Harry Casey, they had 2 wins and a half from their 3 foresomes matches. In the singles Nick lost 3&1 to Ireland's Gavin Moynihan, beat David Boote of Wales by the same score and then halved with Scotland's Bradley Neil on the final hole with the Trophy already won. ©Leaderboard Photography. and is part of the Yorkshire Order of Merit. It attracts a top class field and has been a prominent feature in The Bradford Golf Club calendar for 40 years. for the leading amateur golfers throughout the north of England, was held at The Bradford Golf Club on Saturday 27th April 2013. Hawksworth Trophy, Nick Marsh of Huddersfield Golf Club returned to Bradford to claim the title in 2013. 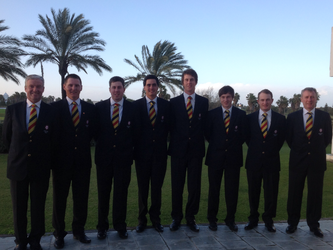 Costa Ballena Golf Club, Spain for the annual Quadrangular tournament played against Spain, Germany and Finland. Having put themselves in pole position with wins over Spain and Germany on the first two days, the six-strong England squad needed only a tie with Finland on day three to secure their first victory in the event since 2006. Disappointingly they came up half a point short and Spain took the title. 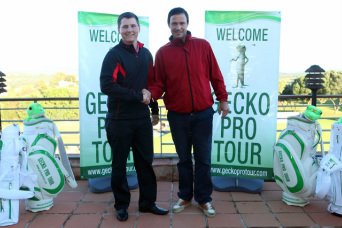 The first week of December 2012 saw Nick travelling to Spain to compete in his first Professional tournament on the GECKO Pro Tour. This event was at Almenara, located on the famous Sotogrande estate . Rain cancelled the first day of play but Nick’s 69 (-3) was enough to send him to the top of the leaderboard and become the first amateur to win on this tour since it’s inception 2 years ago. The week after his win at Almenara Nick followed up with another great performance, this time at La Reserva. 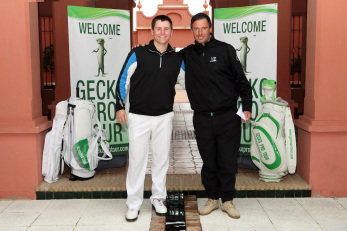 The 12th and final event on the Gecko Pro Tour 2012 calendar saw an unprecedented back to back win for an amateur. Rounds of 71 & 68 for a -5 total to win by 3 shots. 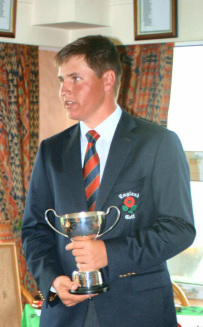 England under 18 boys squad member and Yorkshire Boys Amateur Champion Nick Marsh continues his recent great form by finishing 3rd in the Rudersdal U21 Junior Open in Denmark during the last week of May 2012. 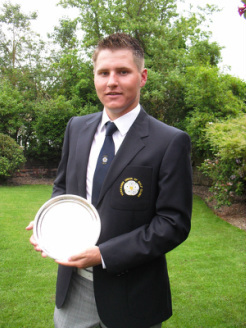 The first week of June 2012 saw Nick travelling to Angelsey to compete in the 72 hole Welsh Open Youths Championship at the Bull Bay Golf Club, an under 21 World Golf Ranking event. He decimated a quality field recording an 8 shot victory in storm force conditions. The European Boys Championships 2012 held in Sweden, a 6 man team event. 2 days of stroke play followed by knockout matchplay. England qualified in the top 8 'A' flight but just missed out on a medal and could only finish 4th. 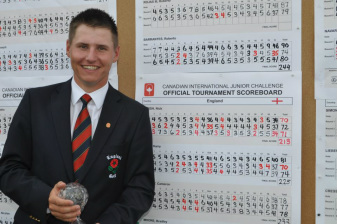 England win the Canadian International Junior Challenge 2012 for the fifth time in a row and Nick Marsh shows his undoubted quality with rounds of 70, 72 and 71 (-3) at Oslerbrook Golf and Country Club in Collingwood, Ontario, to win the Individual Medal. The first Englishman to take medallist honours since Tyrell Hatton 6 years previously. 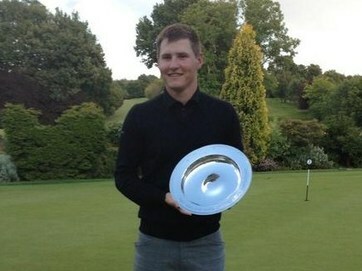 Nick Marsh captained Yorkshire Boys and secured the English County Boys Championship title for 2012 at the County Boys finals at Cotswold Hills Golf Club, Gloustershire. 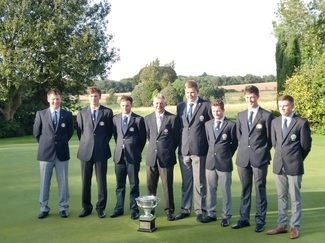 This is Yorkshire Boys' first win of the English County Title in seven years. Yorkshire beat Hampshire, Channel Islands and IOW 7-2 on the first day, Devon on the second day 6-3 and Staffordshire 7-2 on the last day. Nick delivered 5 out of 6 points and Yorkshire delivered 20 points out of 27 matches which was a record win ! 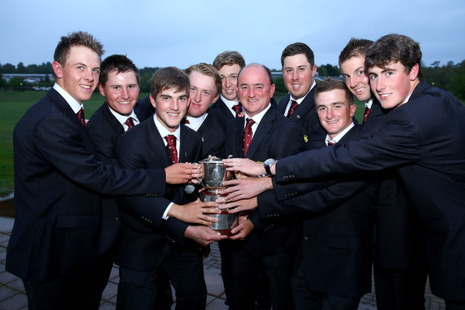 England successfully defended their Boys Home Internationals title in 2012 with a final day victory over nearest challengers Scotland at County Louth Golf Club in Ireland. Nick was unbeaten in his 6 matches. © Getty Images.